They say that when life gives you lemons you should make lemonade. This is exactly what I decided to do this past week when I saw myself stranded in New York with a bad back and a husband facing knee surgery. I had ten days, mostly indoors, to kill before getting the OK from our doctors to fly back to Paris and resume our sabbatical year. After four months in Paris, I saw the needle on my scale drop ten pounds, but like every woman I know, I still had those last ten ones to get rid of. I decided to make a conscious effort to use those days to tighten my diet and get rid of that middle age accumulation. Flowers are everywhere and lucky me, not only I have been visiting gorgeous gardens, I have had the chance to attend a flower arrangement demonstration with Jeff Leatham, the uber sensation that caters to Oprah, the Clintons and the Kardashians alike. The cooking classes at Alain Ducasse were the highlight of my week. After preparing a menu with Chef Sebastien we walked to the nearest market to do our shopping. What a treat! We were given tips on how to choose our veggies and how to figure out portions and the characteristics of a fresh fish. A block away from my house is the famous Laduree , the mecca for macarons. After weeks in Paris we flew over to sunny Tel Aviv. I have a special love for this country where the wonderful cuisine does not cease to amaze me. The abundance of spices, herbs and fresh vegetables can be seen everywhere. Saint Germain des Pres is my favorite neighborhood. It is where I shop for food, for clothes, go to the movies and eat out. Last weekend hubby and I joined a couple of friends and drove to Asheville, North Carolina for an enchanting weekend amidst the glorious Christmas decorations of the Biltmore and Biltmore Village. These are delectable morsels of sweet condensed milk with pumpkin puree and cinnamon. Spread the can of pumpkin on a sheet pan lined with parchment paper. Place it in a 350 degree oven for 35-40 minutes until the pumpkin is dry. You will see the surface cracking. In a heavy bottom saucepan add the sweet condensed milk, the egg, the spices and the pumpkin. Keep stirring until it loosens completely from the bottom of the pan. Check the photo. Set it aside and let it cool completely. Once the mixture is cold you can start by forming little balls. Butter your hands and this job will be easier. Roll them on the crystallized sugar until the outer edge is coated, then place them in the candy cups. They are a wonderful treat when friends come over for a cup of coffee and also a sweet end to a delicious meal. A real pumpkin makes a great center piece and you can always use it for a delicious soup when the party is over. Add some fake little pumpkins and leaves to give it color. Those can be reused year after year . Use lots of candles of different sizes. It is a sure way to impart some magic to your table. Do not forget that this is the time to use your best linen and your china. Wear something nice and festive. Honor the Holiday. We should all be on our best behavior and ready to count our blessings. Brazilians love beautiful tables and take a lot of pride in them. The secret of this magnificent table is not only its abundance but the beautiful flower cups where the sweets are placed. You can find them online and any mini pastry can be used as the center of the flower. Even if you are not doing such a large buffet you can certainly use it in trays at your next dinner party. When I saw this picture I immediately thought of our fields. The idea of a very formal table in such a natural environment fascinated me. It is the work of Antonio Neves da Rocha whose talent made him the number one wedding designer in Brazil. He is about to launch a new book: Tables. We should all run and get one. Inspiration is everything! If you need to recuperate from the exhaustion of summer with the kids and you are able to find a charitable soul to watch them, Paris is the place to go. The fares are lower and the dollar is stronger: time to pack (lightly PLEASE!) and take off. Our favorite part of town is Saint Germain des Pres, the 6th arrondissement. It is touristy but it is also home to an array of casual and a young cool crowd. Wonderful art galleries and antique shops can be found here as well as famous name brands and unique fashion labels. Do not expect your hotel to have a large room. Most hotels in this neighborhood have tiny spaces but in the end it doesn’t matter: you are supposed to be out and about. If you are staying more than a week I strongly suggest you rent an apartment. It is a good excuse for you to shop like a Parisian: choose a great wine, visit a cheese shop and indulge in fantastic charcuteries. My husband and I have been doing this for the last 9 years. Do your research online and pay with your American Express. There are a number of wonderful sites. We happened to use parisaddresses.com we were very happy. As a tourist one of the things I enjoyed the most was the Seine boat ride at night. All the monuments and bridges are lit and the city is one big magic scenario. Don’t miss it! The Louis Vuitton Foundation designed by our Frank Gehry is spectacular. I highly recommend. Book your ticket on line to avoid a long wait to get in. They have a very nice restaurant where you can have lunch. It is located on the Bois de Boulogne which is a beautiful park that you can also visit. Avoid the Ralph Lauren restaurant but do go into the gorgeous store. A testament that not only the French can be outstanding in fashion, it occupies a magnificent building on the Boulevard Saint Germain. I will be posting tips as my stay here progresses. I hope to be able to convince you to log in to Expedia and drive to the airport! Never store tomatoes in the refrigerator. They will ripen in a bowl on your counter and be as sweet as ever. Do not forget to slice them and salt them. They should rest for a while before being consumed. It is the perfect recipe for a delicious salad. One of the things Scott asked me was what kind of oils to use in the kitchen. Olive oil: Great for most cooking methods, except frying. I usually buy cold pressed extra virgin olive oil. If it is organic, even better. Argan Oil: Now we are talking delicacy on a bottle. It is credited to having health benefits such as reducing inflammation and hypertension. Wonderful to drizzle over warm pita bread sprinkled with zaatar. Sesame Oil: Perfect to impair an Asian flair to anything it touches. A little bit goes a long way…. Canola Oil and Safflower Oil: These are your basic flavorless cooking oils. Try to purchase organic varieties. 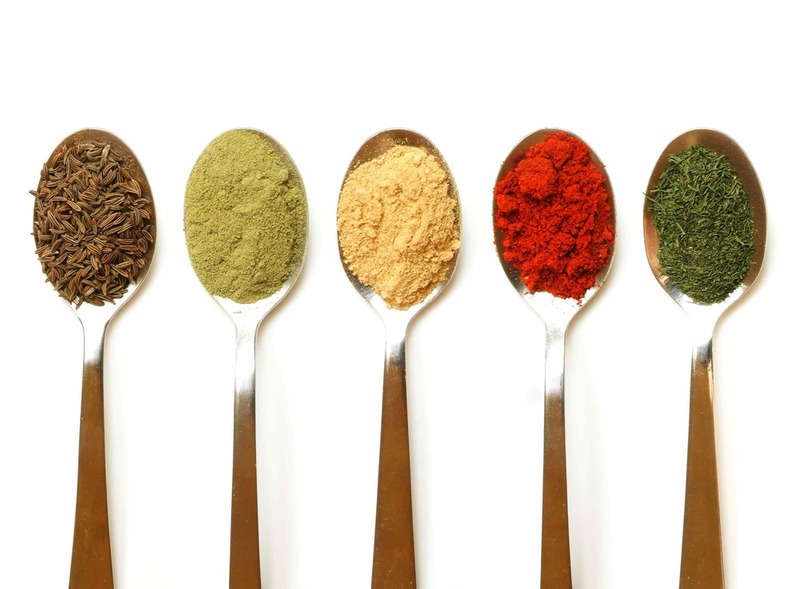 Since the foundation for healthy cooking does not rely on fats to add flavor, one’s pantry should rely on a myriad of spices. Start building your inventory little by little. Be adventurous, don’t shy away from the unknown and do not be afraid to mix different herbs in a single dish. Remember: you are aiming for complex flavors. If you have any questions about the listing, comments you'd like to share, or recommendations for the list, please post a comment below!